Lemax Popcorn Seller Figurines Set of 4 depicts a joyous carnival setting where an old fashioned young boy and girl are paying for bags of popcorn from a traditional popcorn sellers cart. A Lemax Carnival Village themed figurine set which joined the Lemax collection in 2010. 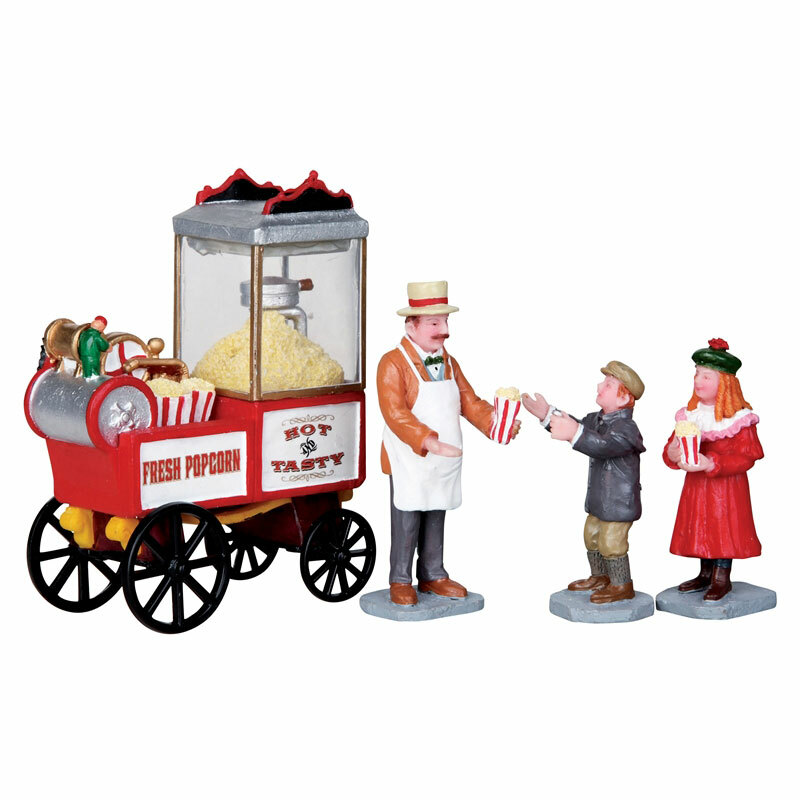 Comprises multiple individual hand painted polyresin figures on four individual bases to compliment your seasonal Lemax Village display.